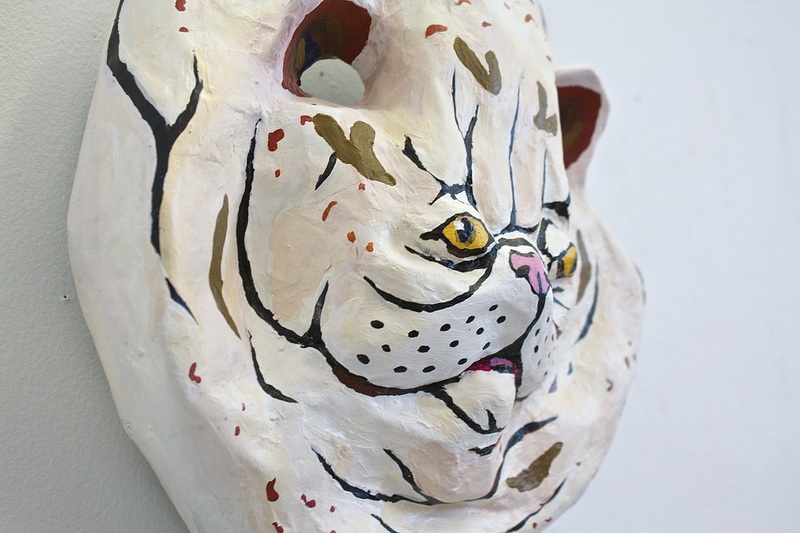 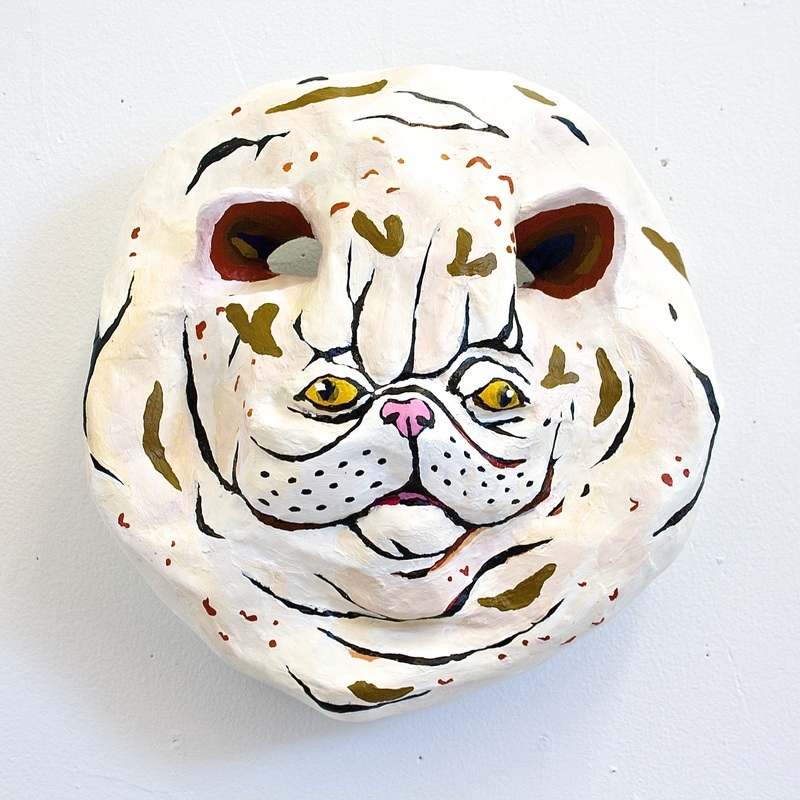 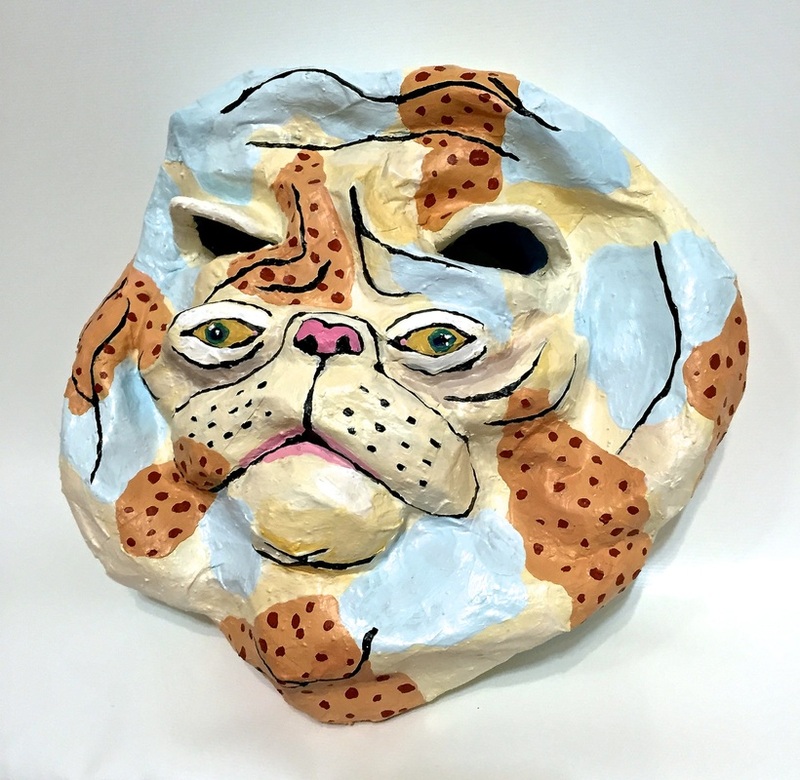 "Cat Mask," paper mache and acrylic paint, 10.5"x11.5", 2015. 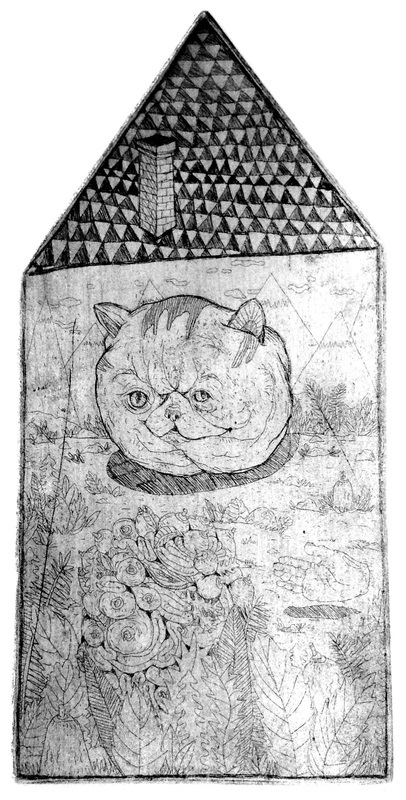 "Cat House," etching, 4.5"x9", 2014. 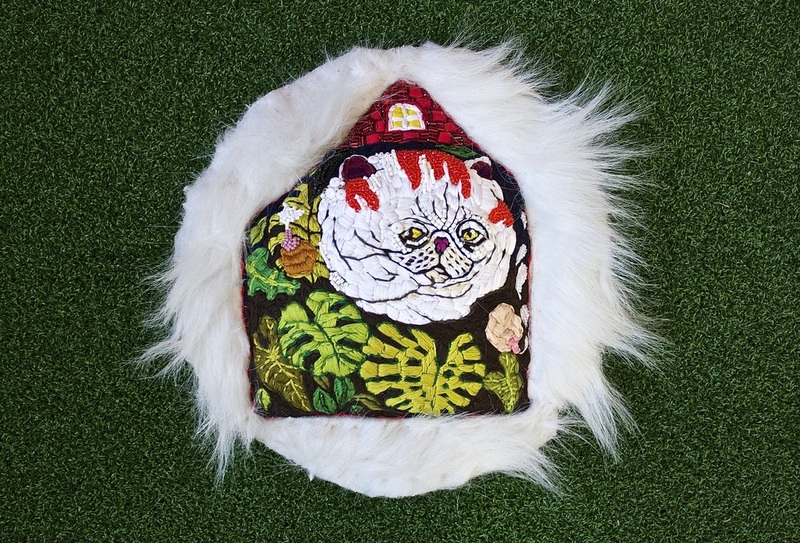 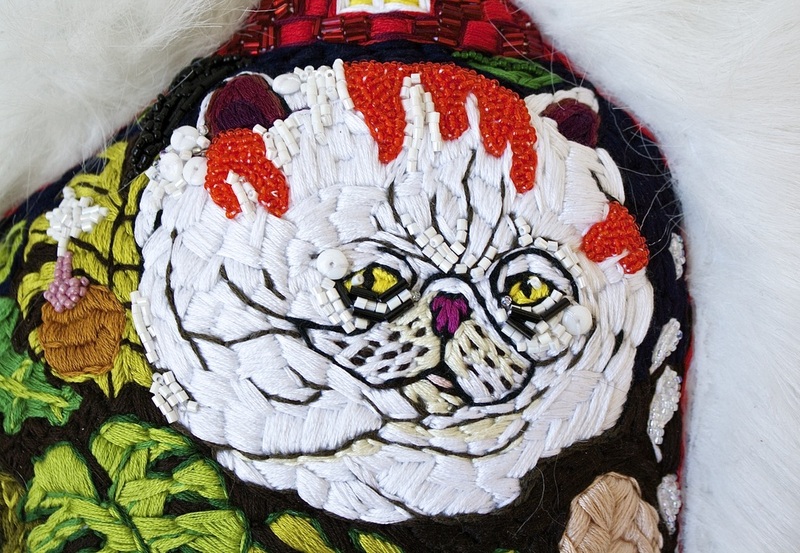 "Furry Embroidered Cat House," Embroidery thread and beads on fabric, fake fur, (on an astroturf background), 10"x11", 2015. 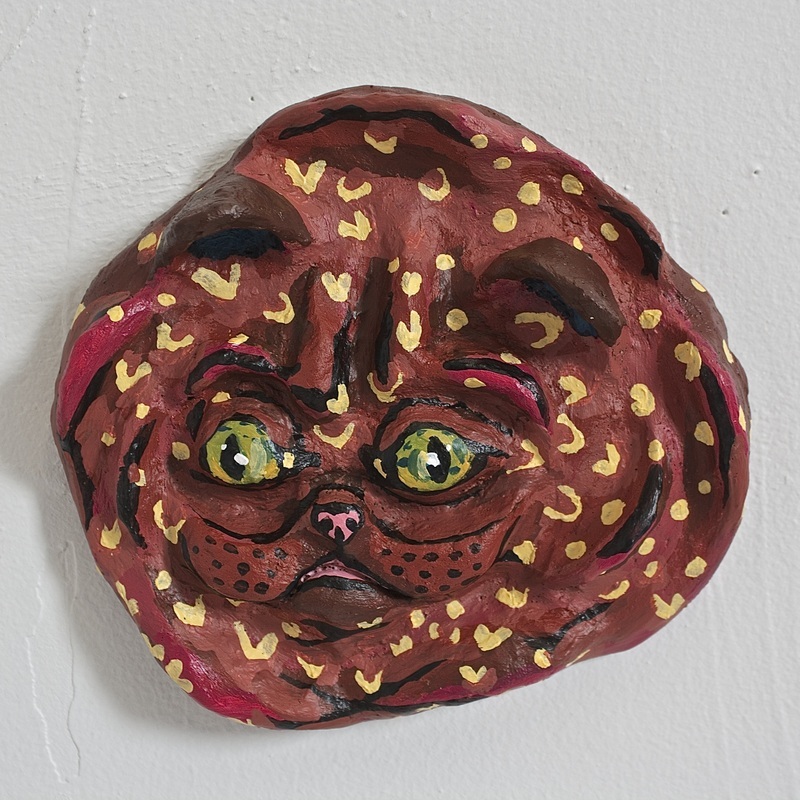 "Brown Cat," clay and acrylic paint, 5.5"x6", 2015. 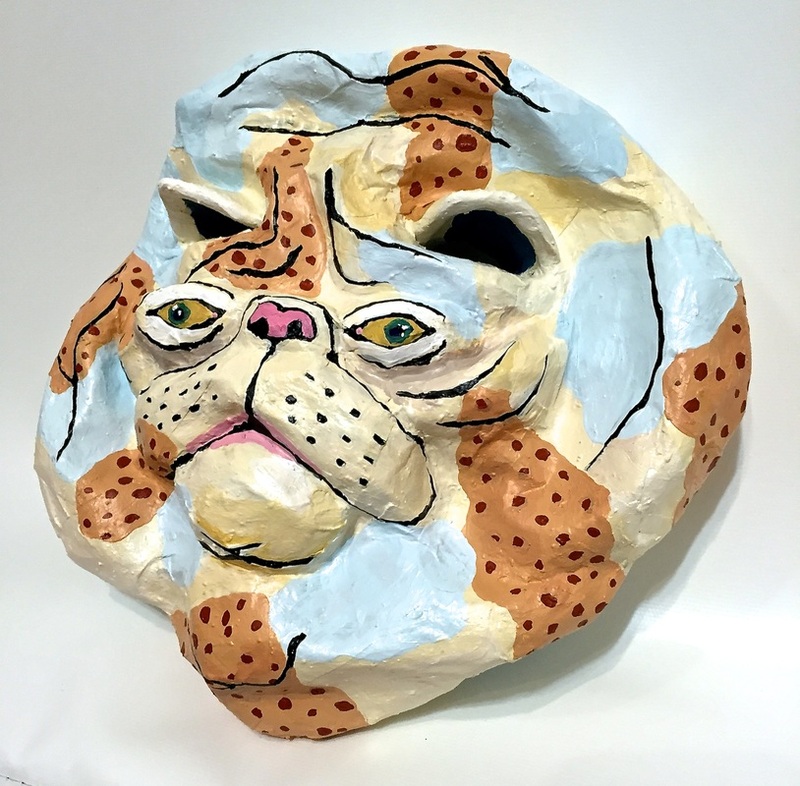 "Cat with Peanuts on his Face Mask," paper mache and acrylic paint, 9.5"x10", 2015. 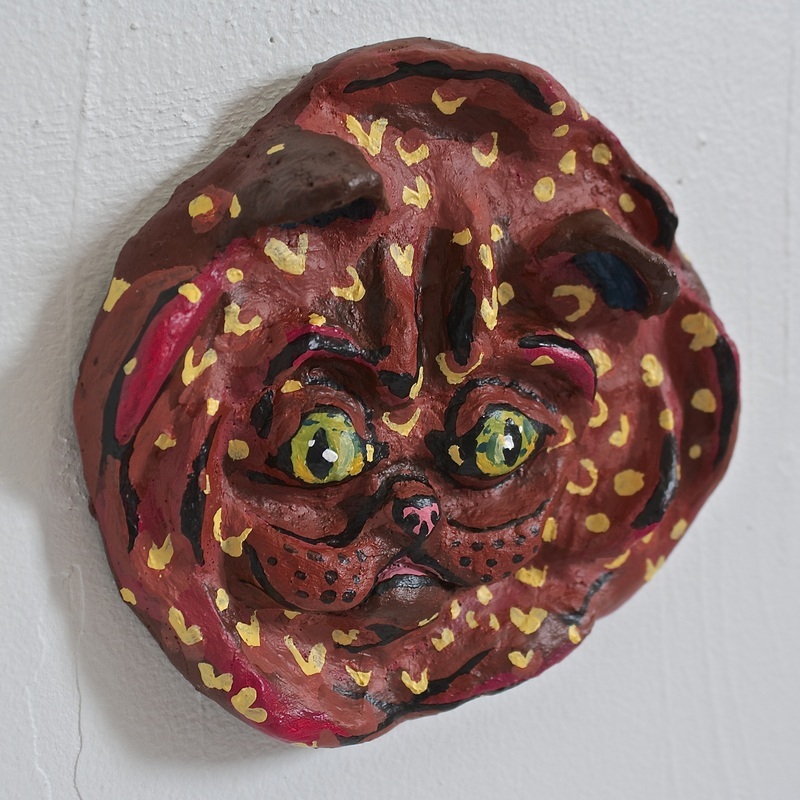 "Cat with Peanuts on his Face Mask," paper mache and acrylic paint, 2015.